Rational thinking would tell most people that after returning from a five day trip, taking a weekend off to catch up on real life responsibilities is in order. When it comes to the endurance athletes and their racing schedule, rational thinking is thrown out the window. After completing the Walt Disney World Dopey Challenge from January 9th – 12th, I decided that I couldn’t let those 48.6 miles complete my month of racing. 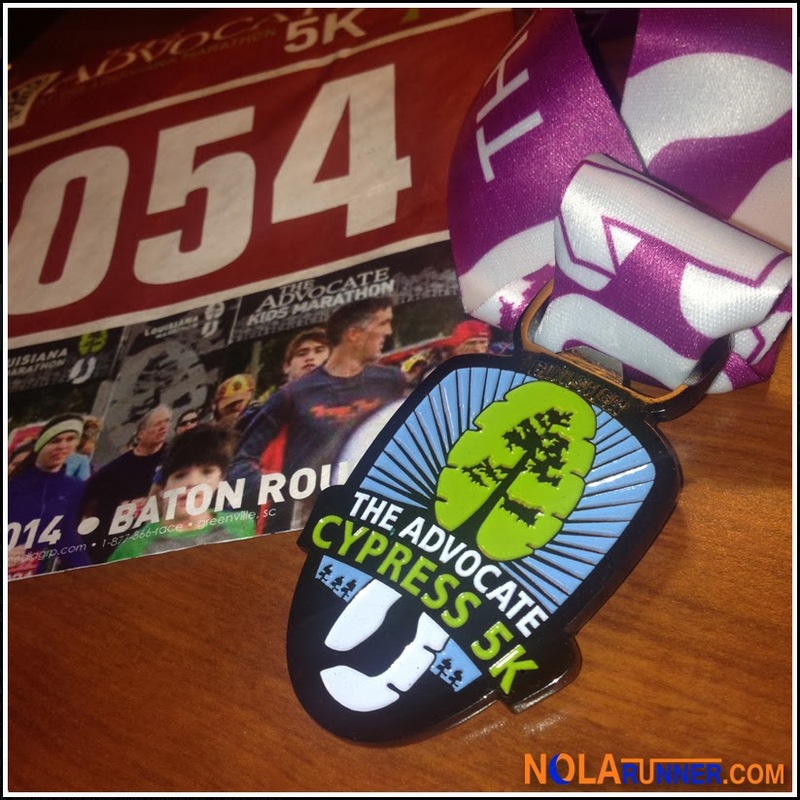 The Louisiana Marathon was the following weekend, and after months of watching the social media leading up to the race, I knew I couldn’t miss out on another year of participation in this signature event. 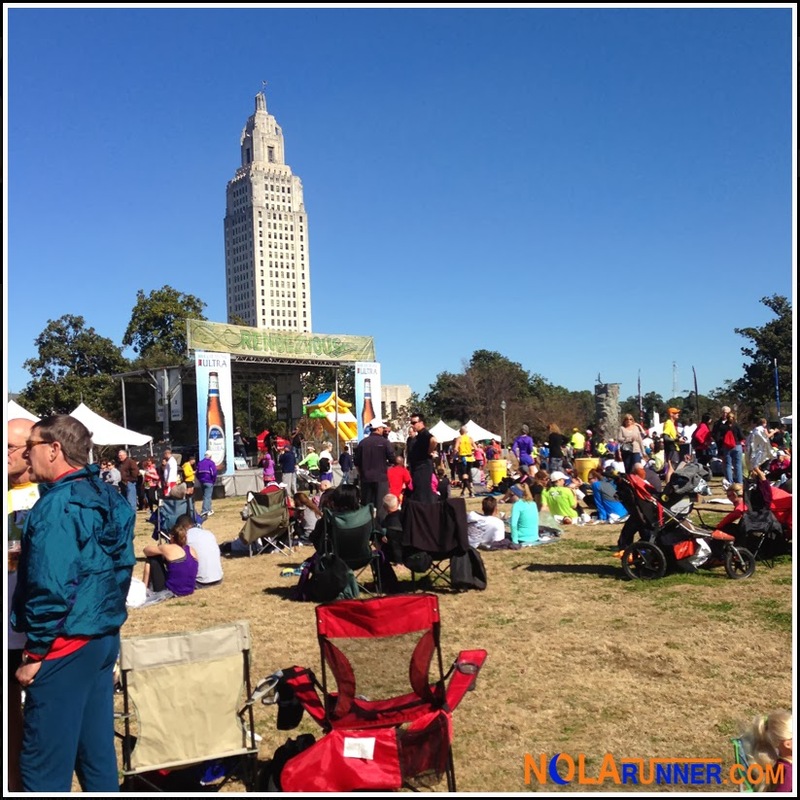 Living in New Orleans allows me the option of running countless quality races in my hometown, but I always get jealous of runners who live in other “runner friendly” cities. Fortunately, there are great races in the surrounding cities, with Baton Rouge being home to more than a few. I’ve traveled the hour commute the morning of the race several times, however I decided this year to stay in "the Stick" overnight before The Louisiana Marathon. I made reservations at the BR Marriott two days before the race with ease, as there were rooms left in the block set aside for runners. Since I was going to be in Baton Rouge overnight, and had nothing planned for Saturday anyway, I decided I’d arrive early that morning to run the marathon’s accompanying 5K. I used the race as a quick shakeout run, as I hadn’t been active since the Disney marathon 5 days before. The route was roughly an out-and-back of the first 1.5 miles of the next day’s race, including the dreaded overpass at miles 1 & 25. My legs were SUPER tight, but I plugged through at an easy pace and was happy finishing with a sub 30:00 time. As an added bonus, there were great medals for the 5K finishers, plus participants who ran the 5K and either Sunday’s half or full would receive a special award for their doubled efforts. After the race I checked in to my hotel, which gave me a room before 10am. I was grateful to be able to have access to a shower before meeting a friend for lunch. After eating, I returned downtown to the Baton Rouge River Center for the race expo. The race has really grown since I ran the half its first year in 2012. Vendors and area races were well represented, as were the Marathon Maniacs and Half Fanatics clubs. As a maniac myself, I checked in at their booth and was presented with an awesome running beanie and credential to wear the following day. It was fun to have the group well represented on the bayou. The remainder of my Saturday was spent lounging in a king sized bed at the hotel, only leaving to grab dinner. I needed the mental break before the following day’s race, and oddly it felt like an actual vacation. The rest allowed me to be fully awake for the race on Sunday morning, which was easy to access off the interstate. I drove around for longer than I would have liked trying to find parking because all of the pay lots were cash only, which is something I never carry. Finally, I found a free parking garage where other runners were parking, so I grabbed a spot and hustled to check a bag and get in the starting corrals. 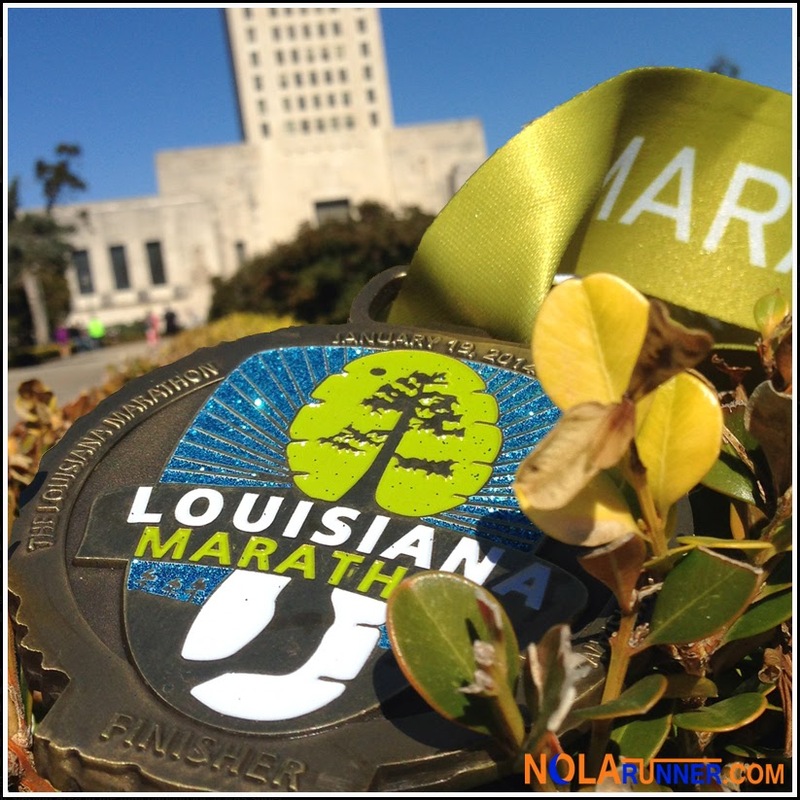 The course for the Louisiana Marathon and Half starts in front of the Louisiana State Capitol, runs to the lakes of LSU’s campus, and passes Death Valley football stadium. 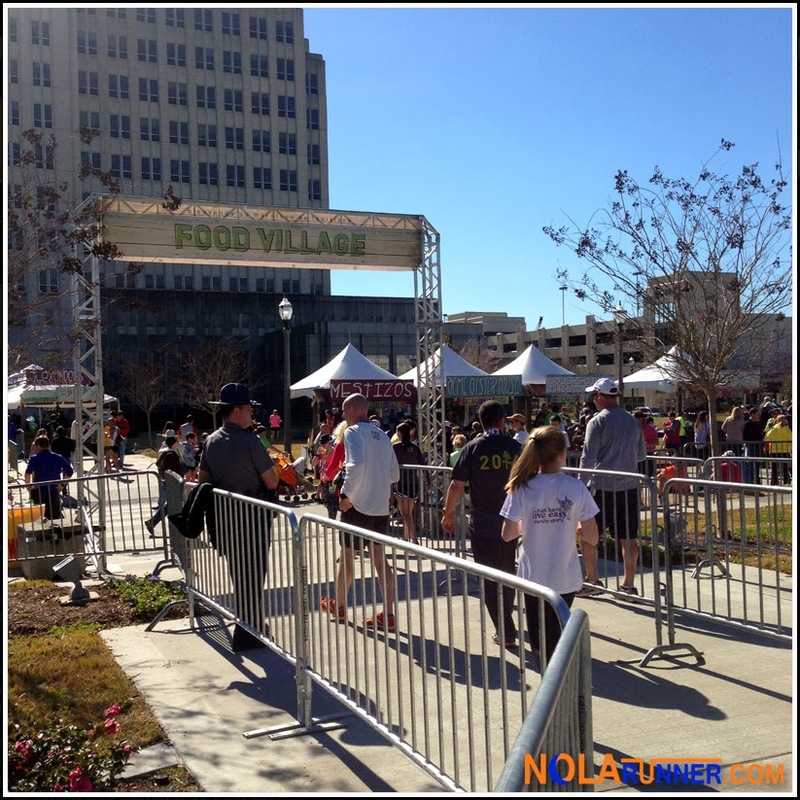 The half and full split neat mile 11, with the half returning to a downtown finish while the full adds another 13 mile loop through a residential area of Baton Rouge. My legs were once again tight for a good chunk of the marathon, but I kept a solid 10 minute pace for the first half. I slowed down for the second, but it was from a combination of fatigue and a decision to enjoy the scenery and the unexpectedly large turnout of spectators. Major intersections along the course were packed with cheering locals, with a good smattering of onlookers throughout the course. At one point I even heard someone cheering for me by name, which took me off guard. She didn’t look familiar and I know relatively few people in Baton Rouge. After I was well past her I realized she read my name from my bib, and I turned around to wave with gratitude for her attentiveness. The course is really scenic for an urban location, which makes me envious of those who have that course for training runs throughout the year. From the participant shirts, to the highly visible mile markers on-course, to the substantial well-designed medals, the attention to detail and consistency in branding of the race is something I appreciate. They are all signs of a really well put on event. This year, I only had one concern with event execution, and it’s a minor one that would go overlooked by the non-seasoned runner. The aid stations on the course were well staffed with plenty of volunteers, most of which looked to be students from LSU and surrounding schools. They were loud and supportive, working diligently to provide fluids to participants. However, at EVERY station, the layout was water at the first few tables followed by sports-drink. I think its common practice for it to be the other way around, so that runners can dilute the Gatorade / PowerAde as needed. Like I said, it’s a small detail, but something that would have made my race smoother. Also, an issue that’s out of the race’s control was being told at check-in that late check-out was 1pm on Sunday. If I stayed longer than 1pm, I would be charged an additional half-day rate for use of the room. The Louisiana Marathon prides itself on a great post-race festival, so a partner hotel should make reasonable concessions for runners in the race’s room block. I finished the race just after 11:30am, so I had to hustle to get my checked bag and get to my car so I would have time to shower and be back on the road before the deadline. I didn’t get to enjoy any of the food and music that appeared to be aplenty for local participants, plus I completely forgot to pick up my Déjà Vu award for running both days. 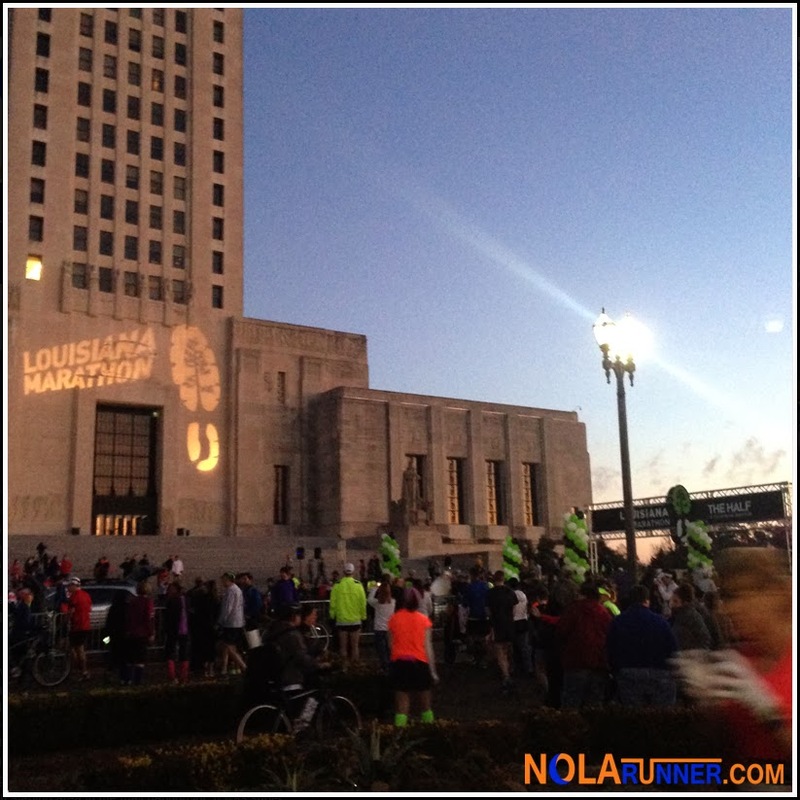 The Louisiana Marathon has grown year after year in its three short years of existence. Thankfully, they’ve been able to maintain the exceptional quality that they prided themselves on at inception. The added incentive to have Marathon Maniacs participate was fun, as I could see dozens of runners in their red and yellow singlets in front and behind me throughout the race. Also, being presented with a Marathon Maniacs branded ribbon and commemorative medal add-on to compliment the great finishers’ medal makes me hope that this is a regular “reunion race” for the club. My desire is that this date stays consistent for the race organizers, and they grow their brand to more events in the region. Just this morning they teased on Facebook that they may be involved in a race during the Louisiana Seafood Festival in New Orleans. Should that become a reality, you can go ahead and sign me up now.